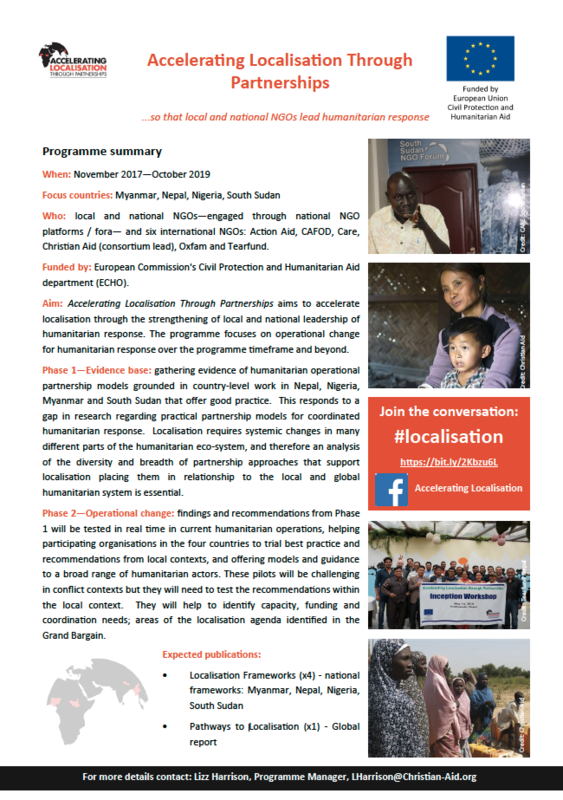 This document provides a summary of the Accelerating Localisation Through Partnerships project. This is an ECHO-funded programme aiming to accelerate localisation through the strengthening of local and national leadership of humanitarian response. The programme focuses on operational change for humanitarian response over the programme timeframe and beyond. The document provides a summary of the phases of the programme and its expected outcomes.